"The greatest muhaddith" - All scholars and shaikhs of Syria accepted him as their teacher, and those living in Damascus used to attend his daily lessons. He had a photographic memory. Knew by heart all the hadeeths of Bukhaari, Muslim, and the remainder of the six most famous books of Hadeeth, including the biography of all narrators of all chains of every hadeeth, their dates of birth and decease, and their status of authenticity. Also, he used to explain the Qur'aan by heart from al Baydaawi's Tafseer (explanation of the Qur'aan). His ijaazah was especially besought by Hadeeth scholars for being the closest one of his age to the Prophet Salla'l Laahu `Alaihi Wa Sallam (counting the number of men in the chain). Doctors and engineers who attended his classes used to say: We exhausted our life learning our profession, and he knows it more than us. He was also instrumental in the organization of the revolution against the French occupation. 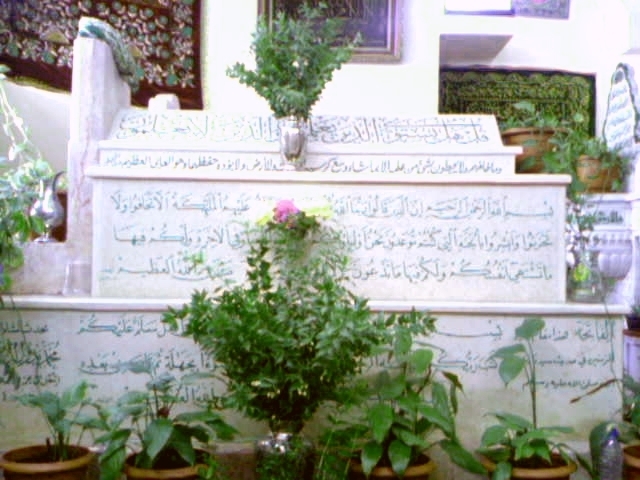 Sheikh Badr al-Din al-Hasani is buried in Bab al-Saghir. A modern mosque is erected next to his grave.With him is buried his son sheikh Yusuf al-Hasani (d. 1279 H), who succeded him as a head of Dar al-Hadith.